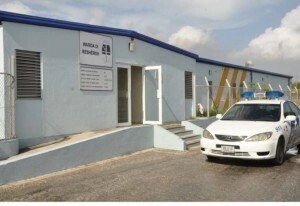 WILLEMSTAD - Unknown people have stolen a large haul of cocaine from the police station in Rio Canario. The drugs had previously been seized by the police. The Public Prosecution (OM) in Curaçao does not want to say exactly how much cocaine it is. The burglary at the police station was discovered Sunday morning around 09:00 local time. The perpetrators forced two large metal doors to get to the cocaine. Later in the day, a burnt-out truck was found on the island that may have been used in the robbery. Messages that money and firearms have been stolen are not true says the Public Prosecution Service. The OM does not want to say anything else about the case "in the interests of the investigation". The investigation is still ongoing and is being led by the Public Prosecution and the National Detectives.